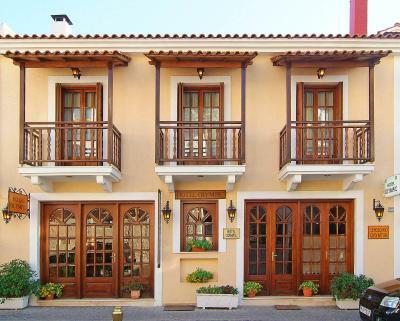 Lock in a great price for Olympic Hotel – rated 8.7 by recent guests! Very clean! Breakfast was good. But should be earlier in order to serve better those who ski early in the morning. The view was beautiful and the staff was very kind. 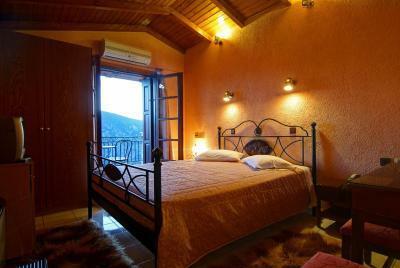 Pleasant, well-maintained accommodations with wonderful views over the valley. Very close to the archaeological site and museum at Delphi. Basic accommodations, with everything we needed or wanted to see in walking distance. 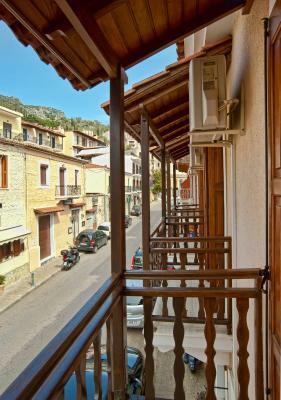 Great locaton easy to find, nice walk to Delphi sites, bathroom excellent. 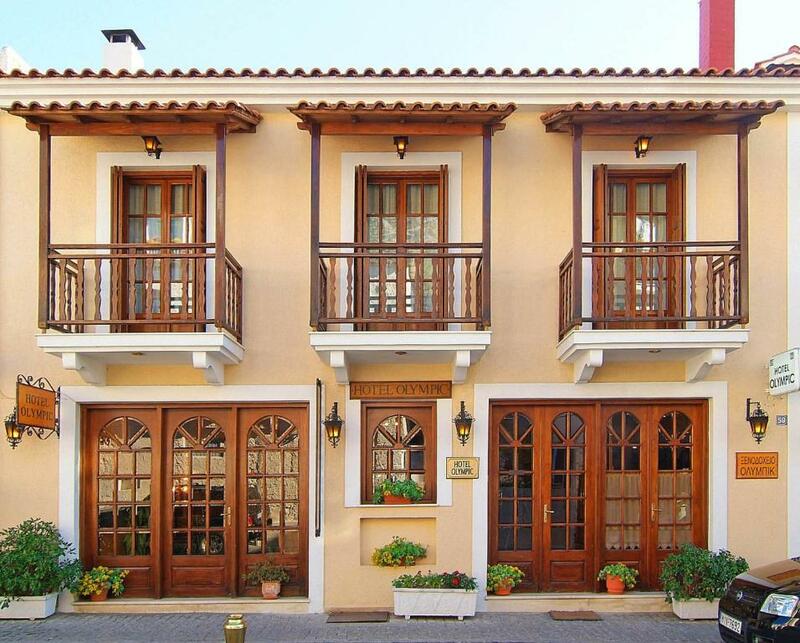 Great hotel in the center of Delphi. Beautiful shared lounge room and breakfast dining room.Ladies at the reception were friendly and helpful. Very nice breakfast..Room was spacious and bed was comfortable. Liked the street view room. Lovely building covered with flower pots across the street. View up and down the street. Nice restaurant next door. Everything is not very far in Delphi. Beautiful little town. 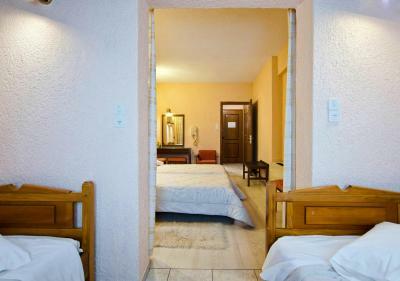 Olympic Hotel This rating is a reflection of how the property compares to the industry standard when it comes to price, facilities and services available. It's based on a self-evaluation by the property. Use this rating to help choose your stay! 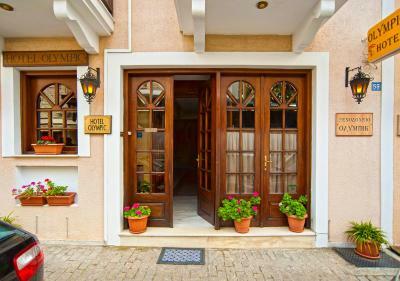 Hotel Olympic enjoys panoramic views of the Corinthian gulf, hence located in Delphi. 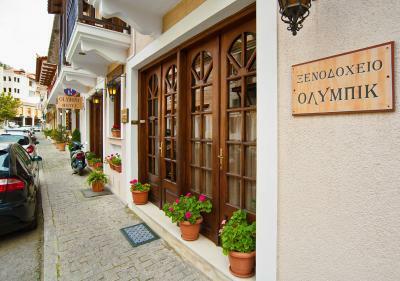 The hotel’s location is ideal for exploring Delphi and the surrounding area. 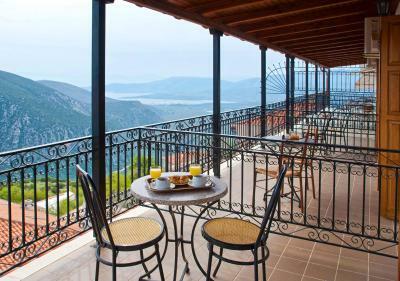 The hotel disposes comfortable rooms and suites featuring balcony or windows with view to the surrounding olive groves and the Corinthian gulf. The hotel provides guests with free wireless internet access allowing them to stay in touch with colleagues, friends and family. Free public parking is possible at a nearby location. 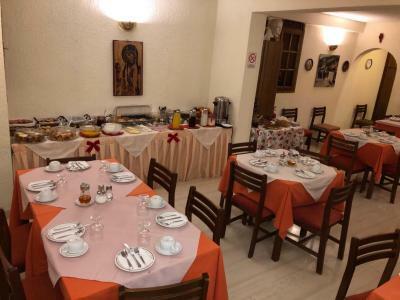 Olympic offers a breakfast area, where guests can start their day. 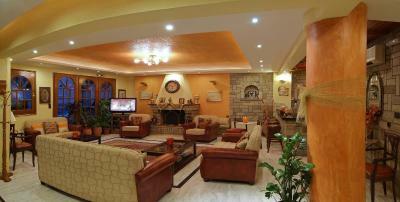 Later on the living area offers a warm and relaxing spot by the fireplace, before heading to the bar. When would you like to stay at Olympic Hotel? 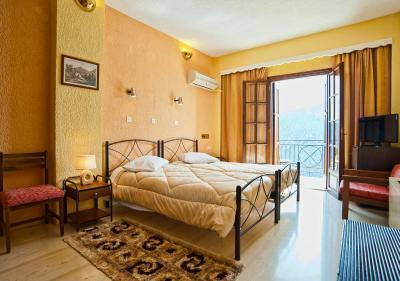 Spacious room with a balcony offering views of the Corinthian Gulf. Offering a TV, this air-conditioned room is spacious and has a window. It features a mini fridge and a private bathroom with hairdryer. Free Wi-Fi is provided. 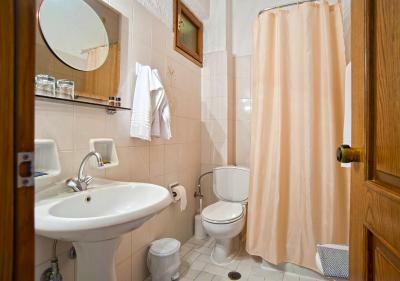 Air-conditioned room with a fridge, a TV and a private bathroom with a hairdryer. 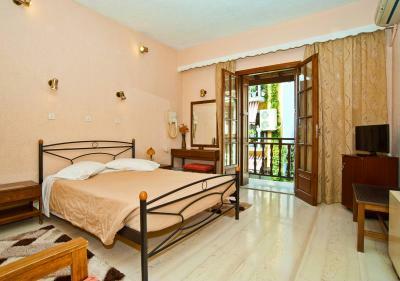 Please note that this room overlooks the street from its balcony. House Rules Olympic Hotel takes special requests – add in the next step! Olympic Hotel accepts these cards and reserves the right to temporarily hold an amount prior to arrival. Please note that free public parking is possible at a nearby location. Breakfast was very basic: very cheap juice and inedible yoghurt. Nothing cooked or prepared, except boiled eggs. Otherwise, just packet food. Staff were not very joyful. 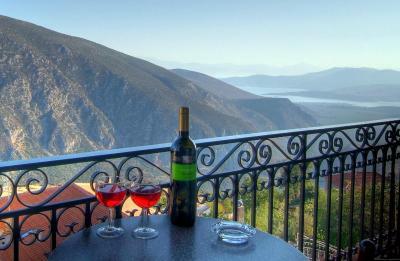 Fantastic view, close to Delphi site and museum. 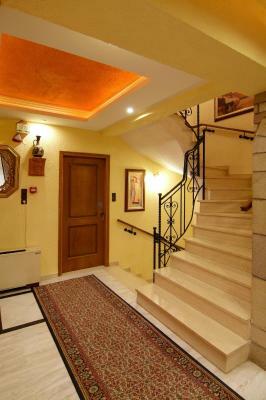 Old and unconfortable mattresses, the lobby was always occupied by the owners.No elevator. Very very polite and helpful owners!! We will definetely book again! thank you! A good value for money option. Incredible value for money! right in the centre of Delphi. the views are amazing. Small little boutique place at an incredible cost which included a great breakfast. 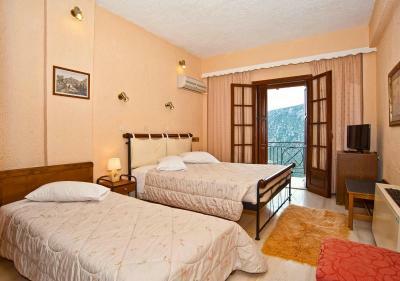 rooms are small but comfortable, restaurants are everywhere, quick drive to Delphi ruins. and about a 20min drive to the beach. Parking is difficult on such small streets but not impossible. Everything was perfect! Very nice breakfast and fantasic view from the rooms. Spacious room, comfy bed and by far the richest breakfast we’ve had during our one-week stay in Greece. The only thing that could have been better would have been a way to keep the doors open without the wind slamming them shut so the airflow would have been better. 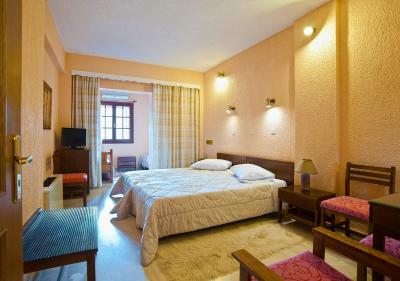 The room was comfortable, The staff were very accommodating. The breakfast was good and the coffee delicious (that is important to me :-) The location was excellent and the view was outstanding. I would definitely come again! Breakfast was the weakest among the 6 hotels we stayed during this trip. No hot staff. They don't know about black tea. For whole guests, 1 tea bag pot was prepared. (see photo) Normally this is for 1 glass. Car parking during checking and carrying luggage in is problem. No way to stop in front. Central Location. Easy to locate. Close to restaurants. Excellent sea and valley view on beak balconies.